While most of us automatically think of LinkedIn as the social network for our professional lives, that doesn’t apply to everyone. While LinkedIn may have 400 million members, that doesn't mean it actually caters to all types of jobs. That has led to a number of industries creating their own dedicated networks, such as Doximity, which caters to doctors; RallyPoint for military veterans; and Farmers Business Network, which caters to farmers. Another category that doesn't benefit from LinkedIn is the service and hospitality industry, where often a simple piece of paper won't accurately demonstrate the skills necessary for the job. 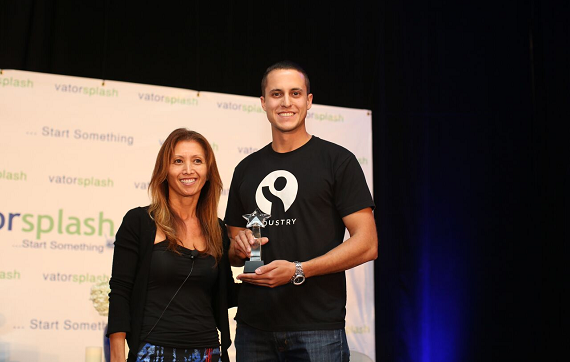 That's where Industry, the winner of our Vator Splash LA startup competition earlier this month, come in. The company wants to be the professional network, marketplace, and hiring solution for top talent in the service and hospitality industry, giving those workers the platform that LinkedIn cannot provide. 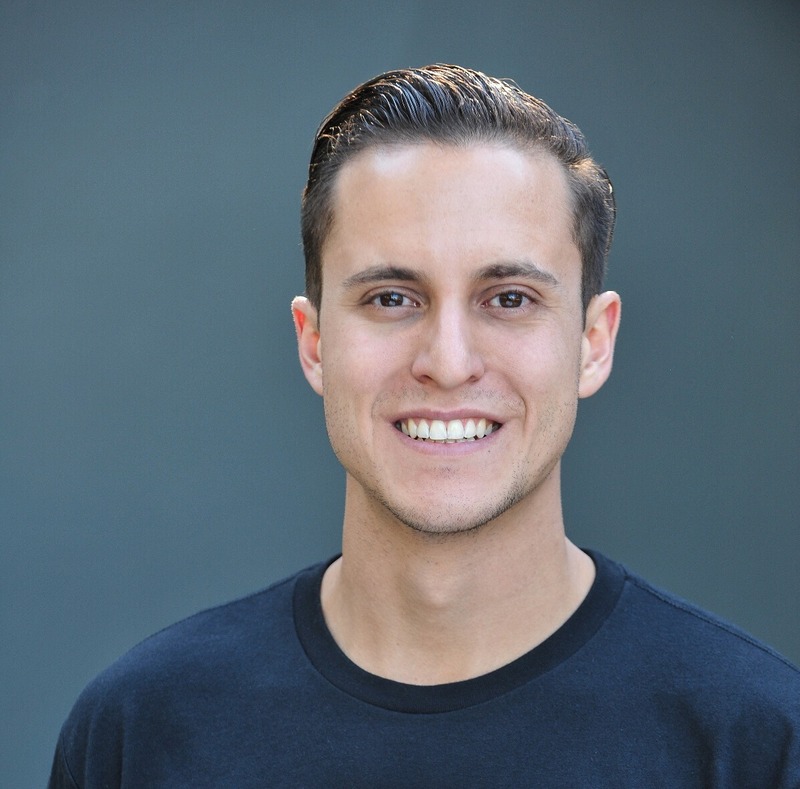 The idea for the company came when Cody Barbo, founder and CEO of Industry, was looking for a job at restaurants in the San Diego area, but found that he wasn't getting any calls back on any of the resumes he submitted. "I had resumes dropped off at 15 or 20 venues, and then a week goes by and then two weeks and I didn't hear back, which thought that was kind of odd. So I called, and the restaurants would say that they didn't have it. I assume it wound up in a folder or trashcan somewhere, never to be seen again," he told me in an interview. The way he did wind up getting a job was through a job fair, which allowed him to show off his personality, which made him suitable for being a server. A resume wouldn’t have given any indication of that. "The second thing I noticed is that when I asked other people in the services industry if they are on LinkedIn, they looked at me like I speaking a foreign language. They never heard of it, or they created a profile and that's it. So, I saw an opportunity to do research on the landscape, and this audience that LinkedIn doesn't address." That's because, he said, a LinkedIn profile is an online resume, one that’s very text heavy, which doesn't mean much in the service and hospitality space. "LinkedIn is valuable to an entrepreneur. VCs and entrepreneurs are able to connect and do incredibly valuable things. As someone in tech, I can use it to research a position, make an assessment, and see if this person is a high value network connection," said Barbo. "In the services industry, it's more visual, with chefs preparing food, and bartenders with drinks. Unfortunately, for the service and hospitality industry, there was nowhere that was taking place today. Maybe Instagram, where influential chefs can showcase their work, but it doesn't encourage in-depth conversation beyond that. That why we want to provide education, and be a platform where employers can seek out that content." Industry caters to all aspects of the service industry, from the first time job seeker, to the career builder, to the seasoned veteran. For the first time job seeker, it's a place to introduce themselves and show off your strengths, and to see if your personality matches with the company culture. For the career builder, who is looking to move up in the industry, they can use it to show off their skills. 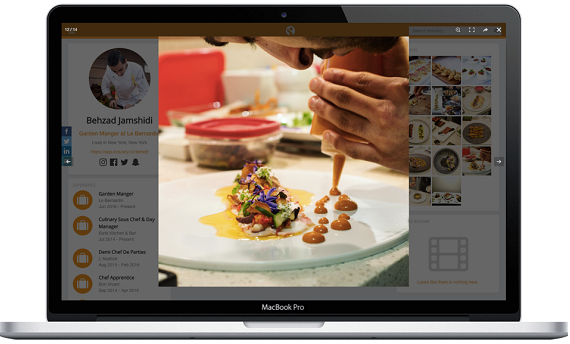 For the seasoned veteran, they can use Industry to tell their story, which is what Kevin Levine, a veteran chef of Scatori's Pizzeria and Italian Restaurant did, creating a video on the site recapping his entire career. While Industry is currently very private about its numbers, not revealing how many job seekers or businesses are using its platform, Barbo did tell me that part of the company's strategy is to target restaurant groups in each market it enters, as a way of getting more businesses to come on board. In Washington, for example, the company formed a partnership with the Washington Hospitality Association, which has 6,000 member restaurants in the state, out of 15,000, the majority of which are now using Industry to find new workers. "70 percent of restaurants are family owned and operated. Our approach for every market is to focus on groups of five to 15 venues, typically trendsetters, that are opening most the venues at the quickest pace. If we can show value helping them find talent, then we have credibility with family operated businesses too," said Barbo. Industry is able to show its value to those businesses, and to its job seekers, by severely cutting down the time it takes for a job to be filled. Whereas the average time to fill a job in the services and hospitality industry is 28 days, while in beta, Industry cut that down to a week or less. In some cases, Barbo told me, it is less than 24 hours for jobs like servers and bartenders, where restaurants can get 50 to 100 applicants. It takes longer with kitchen jobs, like chefs, since there are fewer applicants, but it is still under a week. Industry's current clients include MGM Resorts International, Disneyland Resorts/Parks, Hell’s Kitchen, Cohn Restaurant Group, Fox Restaurant Concepts, and Stone Brewing Co.
How does Industry make money? When it came to deciding what its business model was going to be, Industry did not take the decision lightly, carefully weighing out which one would work best for this specific space. "We spent a lot of time on this," Barbo said. "The common payment process is pay-per-post, which is what Craigslist does. The price point is $15 to $80 depending on market, so San Francisco would be the most expensive." The problem with that type of model is that is "doesn't guarantee applicants, or quality,” he told me. Also, if you go to Craiglist, there are so many listings that someone paying $80 can very easily wind up on page 25, making it a waste of their money. Industry also thought about doing a subscription model, where the businesses would pay a flat fee to post, but that doesn't work for the service industry, since it's seasonal. It will be too hot during the summer in places like Arizona, and too cold in the winter in places like Minnesota, which would cause high churn and restaurants canceling their memberships during down months. Ultimately, the model that the company settled on is a pay-per-applicant solution, where there is a base price point tied to every position. The more experienced, and specific, the job posting, the more the business will pay to look at applicants. "The average is $3, and the price increases based on requirement. So, if you want to hire an executive chef, with a culinary school degree, and at least 10 years experience, that will have a significantly higher price-per-applicant fee, since you’ll only getting a few people applying. It might be $25 per applicant, but the restaurant can say, 'At least I got four qualified applicants, so my time and money isn't being wasted'," Barbo explained. Industry allows its customers to set a cap on what they want to spend on finding applicants. So, if they are looking for a bartender, which is $3 per applicant, and want to spend $75, they would have the ability to see up to 25 applicants for that position. Plus, they only have to pay for those applicants they see. The big restaurant groups, or enterprise clients, who will not have the same type of monetary restrictions as a family owned business, can leave their spend uncapped. The platform is currently free for the job seeker, though there are plants to monetize them down the road. "We will monetize them at a later time, with premium memberships. There are also advertising opportunities. At the end of the day, our team is driven by the mission of making job candidates more likely to succeed in their careers," said Barbo. Industry announced on Monday that is has raised a $2.3 funding seed round from a stealth VC fund on Sand Hill Road, and participation from our previous investors. The funds have been used to recruit new talent, bringing the team to 15 employees, up from only six last year. The company will also use the funding to scale in the nine markets it currently operates in across the west coast: San Diego, Los Angeles, San Francisco, Portland, Seattle, Denver, Las Vegas and Scottsdale/Phoenix. San Diego is its biggest market so far, with 20 percent of employees and businesses, and is its fastest growing, followed by Los Angeles, Las Vegas and Seattle.
" As Reid Hoffman said, 'What first mover means is first mover to scale.' We really want to understand how to scale these different sized markets, and how to do it more cost effectively," said Barbo. "We need to meet customer demand, and this funding allowed us to hire nine more people, which we divided between our tech team on product, our marketing team and our sales and account management team. It's easy to get businesses to try the platform, but we need to foster relationships to get them to continue to use the platform." Restaurants, bars, nightclubs, and hotels face a 72 percent job turnover rate, and, because of that, the manager of a business that Industry had been working with might very well move on to the next opportunity, leaving a new manager who might want to do things the old way. "The sales and account team are really our customer success team. We check in multiple times a month, to give them that human element, and make sure they are continuing to use us." The service and hospitality industry is a career for 17 million people, and it's growing fast. There's also a huge opportunity overseas, since the United States only has around 10 percent of the global market. "We can make people more successful, really help them connect and succeed. We are an amazingly useful platform, and our mission to to continue to help them. If our vision is successful on the west coast, and then internationally, we can be as big as a LinkedIn," said Barbo. There's, of course, the looming question of why LinkedIn wouldn't simply take Industry's idea and copy it, effectively putting the company out of business. To Barbo, even if it tried, it wouldn't be able to succeed, as it doesn’t have the same experience or drive that Industry had. "I've been asked this question a lot. Why, based on the success of other networks, hasn't LinkedIn expanded? Doximity has 80 million dollars, so why haven't they build a product for the medical community. Or one for the military?," he said. "If they try and come in, they'll have a really hard time convincing people to get around the stigma or brand of LinkedIn, which is a corporate social network. Service and hospitality is very different." He compared it to when Facebook tried to buy Snapchat, then tried to clone it with Poke, a Snapchat-like app that ultimately failed. "Snapchat was an entirely different use case. When a legacy company tries to be competitive, they can't do it from the same mindset. Myself, and my co-founders, all of us have worked in the service industry and we really feel like we identify with that audience. We try to do a good job understanding their journey." Being part of Splash will also help Industry grow, Barbo told me. 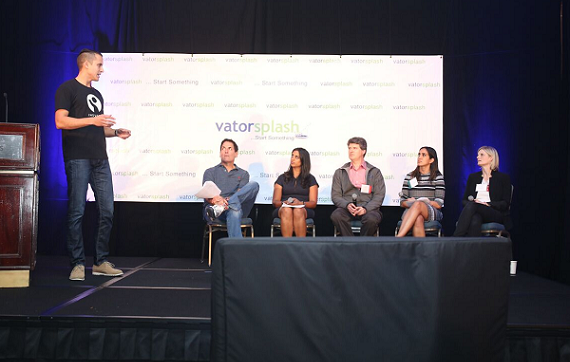 "The quality and caliber of investors at Splash LA was one of the reasons we've attended the last three years. With this year's win, we have networked with LA's top VCs, and have amazing follow up opportunities for future growth," he said. 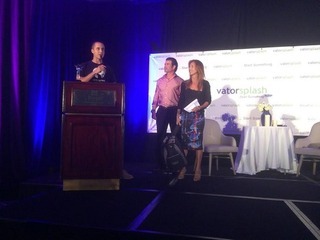 Industry has won Vator Splash LA!